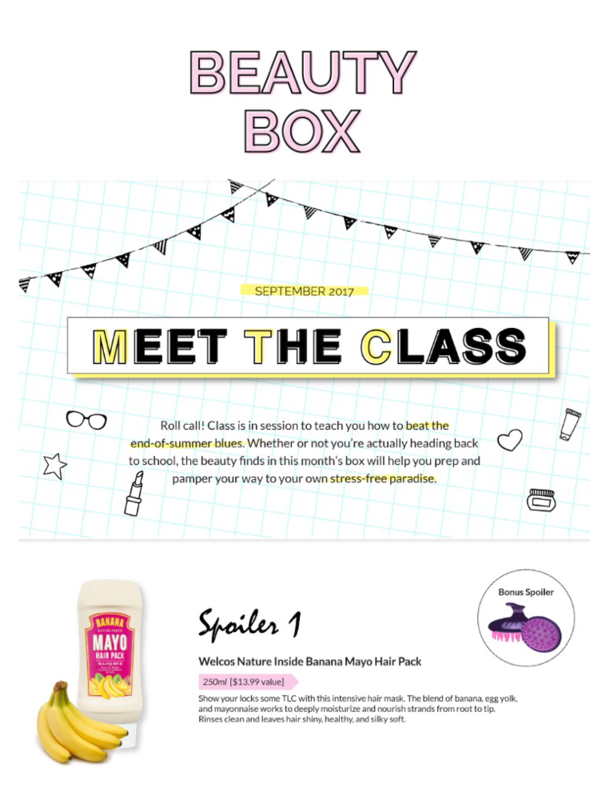 The beauty box contains six-full sized products monthly. Receive an assortment of skincare, makeup, body and hair care, and much more. Welcos Nature Inside Banana Mayo Hair Pack. Also it looks like a bonus spoiler too. It's a Honglda: Natural Glossy-Shampoo Brush. 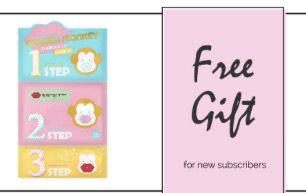 For new subscribers use promo code BBCLASS to receive this free gift. Subscribe by 9/15/17 by 11:59 PM EST to receive this box. What do you think of the spoiler and bonus spoiler?